In-Demand Jobs Week is a statewide celebration of the jobs, industries and skills that are in-demand in Ohio. Communities statewide are encouraged to plan events and activities that will inspire excitement and awareness among students and job seekers. 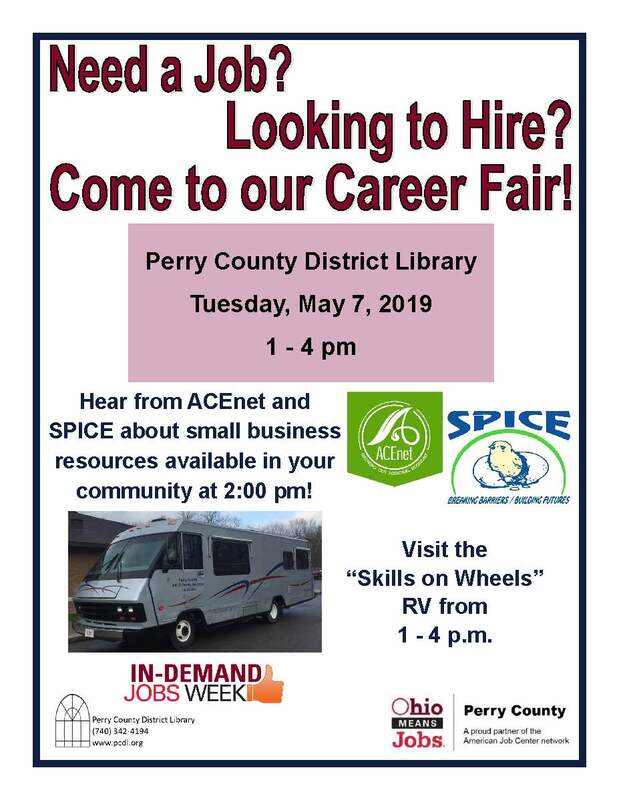 Join Perry County Ohio in the celebration with our Career Fair on Tuesday, May 7,2019 from 1:00 p.m. to 4:00 p.m. at the Perry County District Library - New Lexington, Ohio.